Sometimes our professional or personal commitments take us to lands afar. Far from home, the thought that mostly pops up in our mind is the welfare of loved ones. And unlike most Bollywood movies, we do not have the luxury to travel back at that instant and see all the happy faces. So we naturally send money, money for that saree for mom, or a blazer for dad, or a mobile for sis or Kishore da’s song collection for grandparents or a sweet little ring for wife. That’s where we fit in. We offer you near InterBank rates, so that makes InstaReM the most affordable way to send money to loved ones. Even the World Bank says so. And we are just getting started (trumpet rolls). 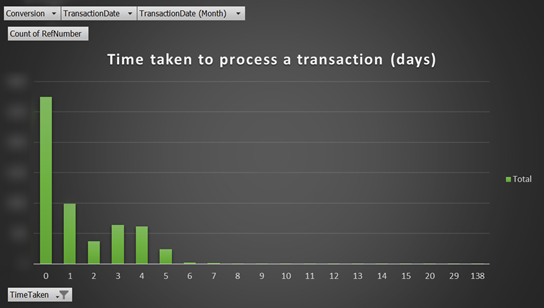 Unlike many others, we process a bulk of our transactions within a day. Yes, a day. As a P2P transfer medium, it’s expected that most of the transactions fall within a certain bucket range. Our average transaction size is about AUD 2000. For our industry that is very high (most other companies have an average transaction size of about AUD 500, which is just ~25% of our business). This shows that our clients love our rates and trust us to get their money home quickly and securely. Even businesses use us to transfer money securely. 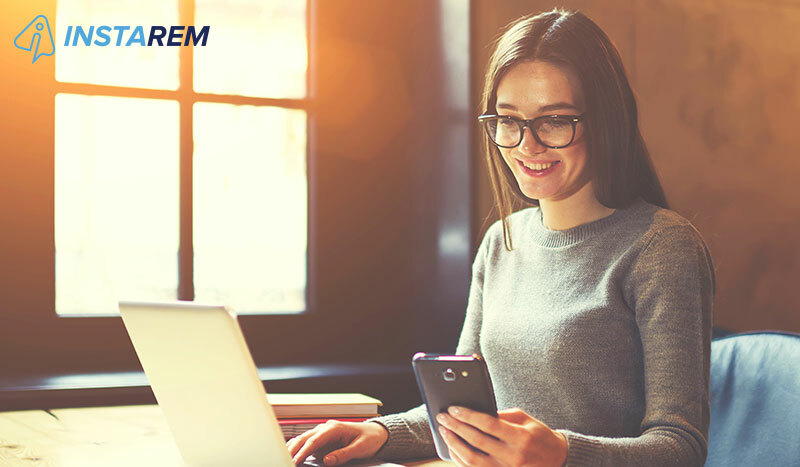 Whatever the client, amount, or recipient; InstaReM is always committed to give you the same hassle free experience. Our customers love us (we love you too, guys). Instead of mushy-mushy texts and flying kisses they keep visiting us, often. In-fact as you can see on the graph below, we have a lot of customers who visit us even after 60 days (the x axis of the graph) to send money to their loved ones. For some we have even become a part of daily life. I will stop here and wipe my tears till you see data and spread the love. For InstaReM — We have just launched our android and iOS apps, and are in the process of revamping our website. Next, we will a revamped UX. We are adding more countries where you can transfer money to/from and we are building cool new products — many are firsts in the payment industry. For me — Going out for a cup of coffee, happy that I managed to convince you to use InstaReM.